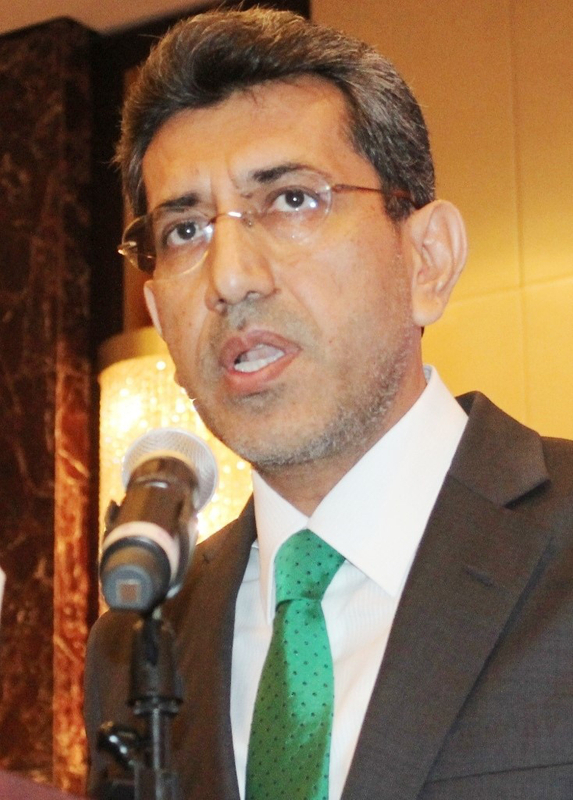 “While elsewhere in the region, and globally, we have seen anemic growths or a slowdown of economic activities, thanks to its diverse character of economy, the UAE has remained a vibrant source of remittances and employment for Pakistan,” added Moazzam Ahmad Khan, Pakistan Ambassador to the UAE. Speaking at the 2nd Pakistan Remittance Summit held in Dubai recently, Khan said that the UAE has been generating fresh employment for nearly 200,000 Pakistanis annually. He also told Gulf News that the number of Pakistanis being employed in the UAE could even be higher, as this figure is based on statistics sourced from the Pakistan Bureau of Emigration and Overseas Employment, which registers every employee going abroad on work permit. Many people also come to the UAE on visit visas and change their visa status to work permit, which is normally not registered back home. In terms of sheer demographics, volumes and value, and the resources it generates for the homeland, the Pakistani community in the UAE, constitutes one of the largest, most productive, most diverse and dynamic diasporas of Pakistanis anywhere in the world. “In terms of sheer demographics, volumes and value, and the resources it generates for the homeland, the Pakistani community in the UAE, constitutes one of the largest, most productive, most diverse and dynamic diasporas of Pakistanis anywhere in the world,” he noted. He said that the UAE hosts more than 1.6 million Pakistanis who have, of late, been remitting close to $4.5 billion (Dh16.5 billion) annually to Pakistan. “The Pakistan-UAE migration and employment corridor is amongst our most established channels for funnelling employment of our nationals abroad, and in turn receiving remittances back in Pakistan,” he added. 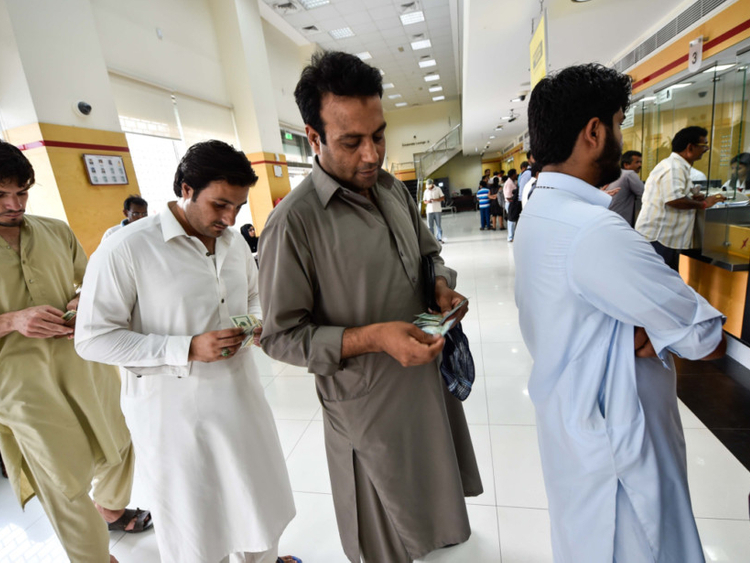 According to the State Bank of Pakistan (SBP), the remittances sent by around 10 million overseas Pakistanis around the world were record high at US$20 billion last year. The bank also witnessed increase of remittances by 12 per cent to $14.35 billion in the first eight months of fiscal year 2018-19 as compared to $12.83 billion for the same period last year. The SBP is expecting the remittances to increase to US$22 billion by the end of fiscal year 2018-19 in June. Pakistan’s fiscal year runs from July to June. The summit was held in Dubai by the State Bank of Pakistan in collaboration with five leading Pakistani banks in line with the Pakistan Remittance Initiative (PRI). The participants at the summit discussed ways to improve remittances through legal banking channels. Arguably, the ambassador said there are challenges. “The figures, though record high, do not represent the true potential, at least insofar as the UAE is concerned. Some informal estimates place the true potential at 25-30 per cent higher than what we have now. “A large informal economy, and the continued existence of illegal channels of hundi and hawala pose difficulties in raising the quantum of funds sent through formal channels. He urged the banks to come up with incentive based remittance plan to beat the illegal means of money transfer. Saudi Arabia remained the biggest source of inflows as they grew by 2.41 per cent to $3.34bn during the last eight months, from $3.26bn in the corresponding period last year. The UAE closely followed with remittances from the country jumping by 6.75 per cent to $3.036bn, from $2.84bn in the first eight months of the fiscal year 2018-19. However, remittances from the other Gulf Cooperation Council countries shrank, decreasing by 6.13 per cent to $1.374bn as compared to $1.46bn. Highest growth in the remittances was noted from the United States which soared by 31.2 per cent to $2.245bn compared to $1.71bn in same period last year. Similarly, inflows from the United Kingdom rose 22.8 per cent to $2.194bn during the eight months, from $1.79bn. Remittances from the European Union were reported at $393 million, down 6 per cent, from $420m. According to Zia Ejaz, Head of International Operations at the United Bank Limited (UBL), while most people and business use banking channels to remit money, there are still huge number of overseas workers especially the blue-collar workers who still prefer to send money through hundi or hawala channels as they find it more convenient with less paper work. Ejaz said that Pakistani banks need to come with some solutions to give better incentives to overseas Pakistanis especially the low income group because even the small amount matters to them.